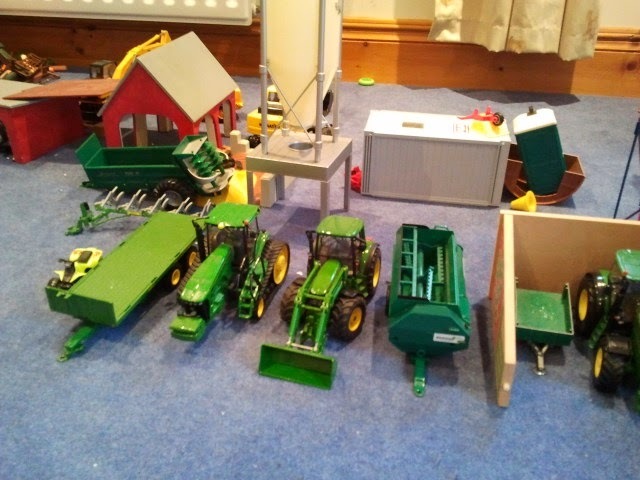 This is a special farming post for Uncle Bill - Luke wanted him to see how his farm is growing and how he has nearly as much equipment as Uncle Bill!!! 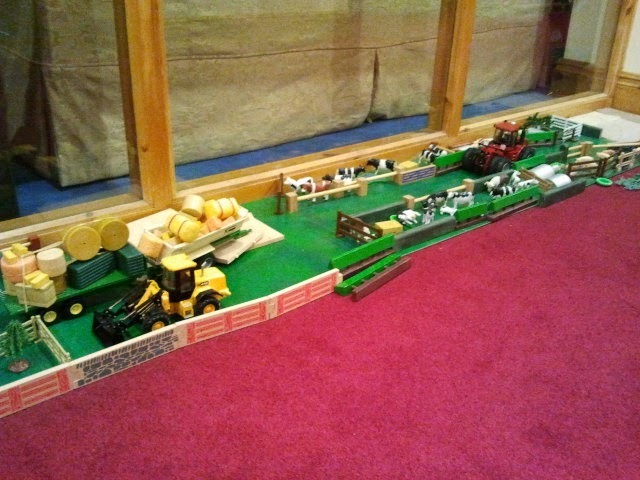 Luke has been busy re-organising his farm this week. 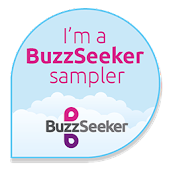 It has been quite a major move and has involved moving every building and vehicle and finding new homes for them all. 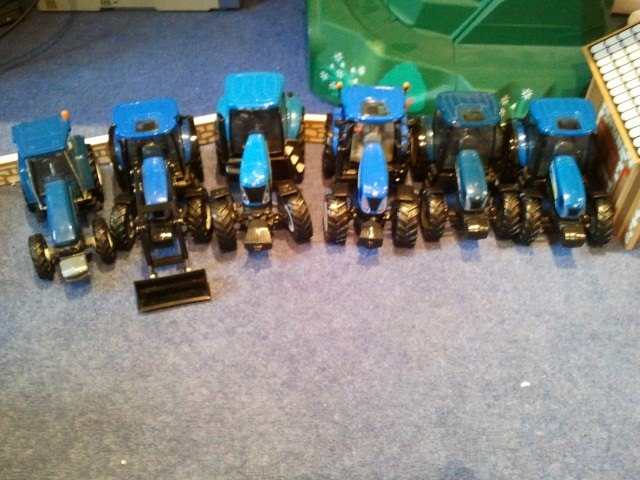 All the New Holland tractors are now together at the side of the hill. 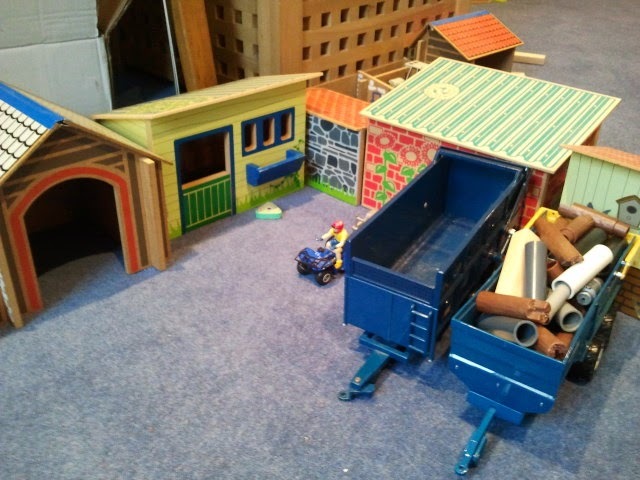 The trailer is full of pipes - he is obviously getting ready for a big drainage job! 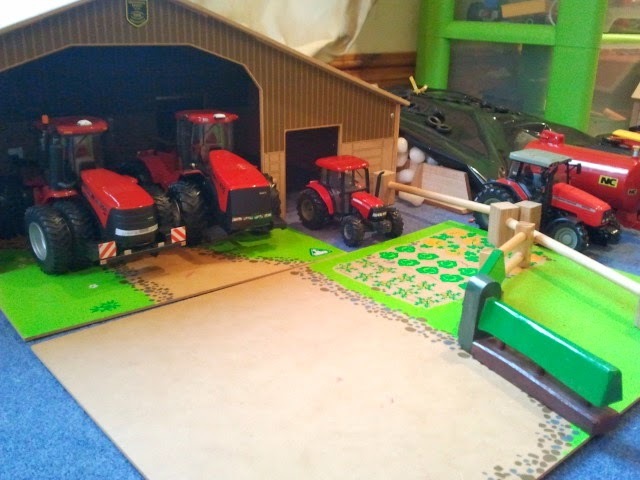 He tries to keep all the tractors, trailers and farm machinery in a barn as it keeps the farmyard looking neat and tidy. 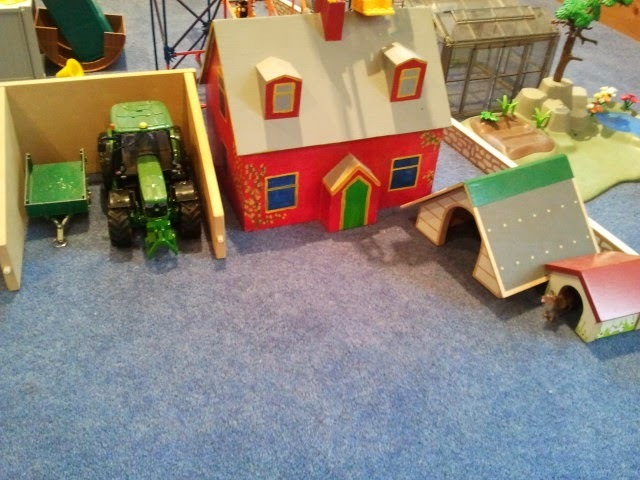 He has a real attention to detail - there is a garden and greenhouse next to the farm house. 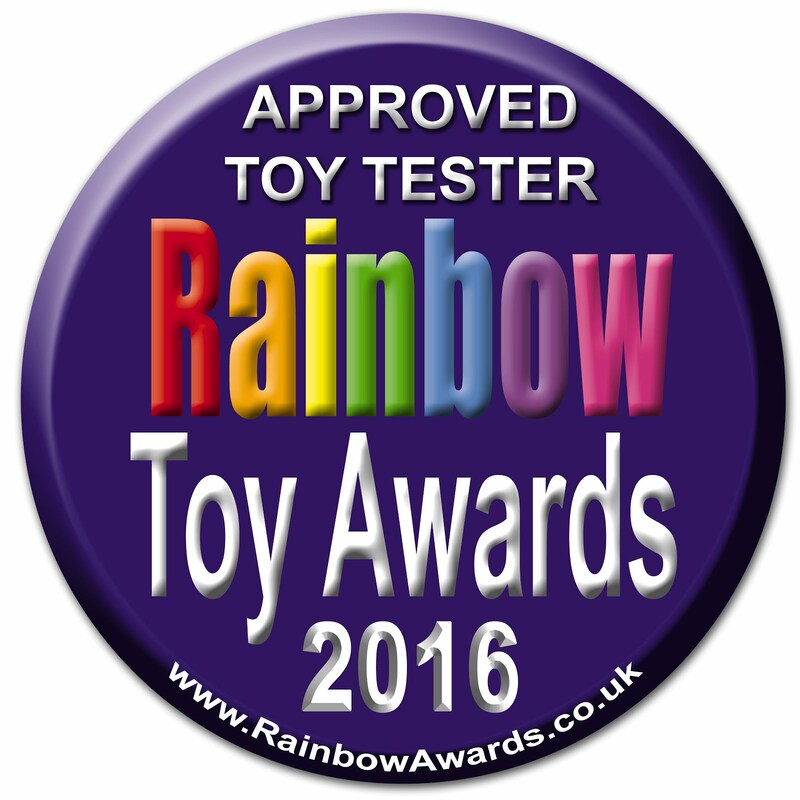 The greenhouse hasn't got quite as many plants in it as Grandma's has though! 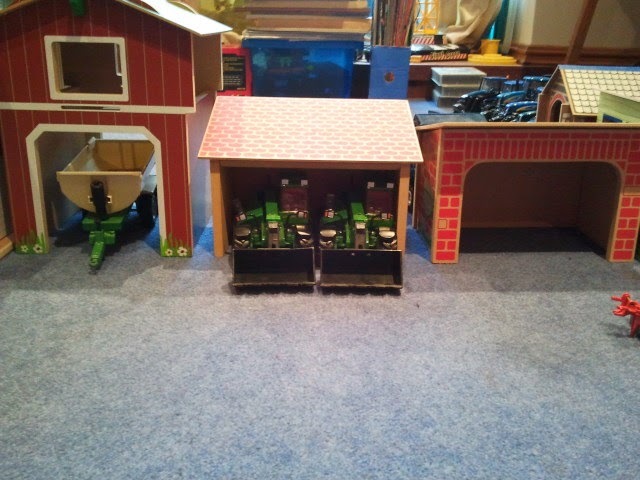 The two large Case tractors are in the big barn. 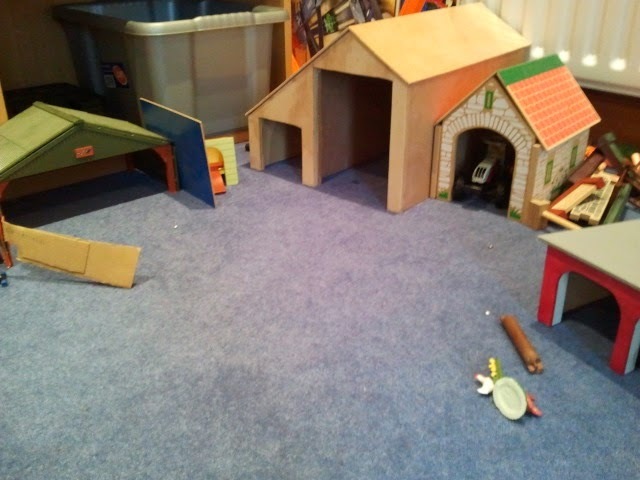 All the animals are in the field in the hall - it's a good job we have a huge hall to put the fields in. 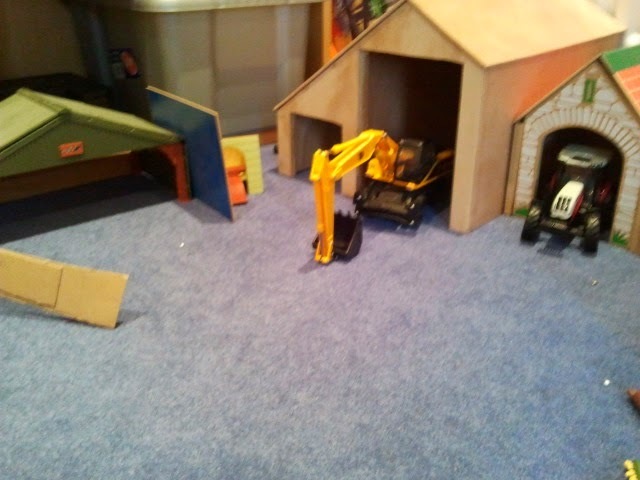 We didn't have a barn big enough for the JCB so Luke and Grandad made one.